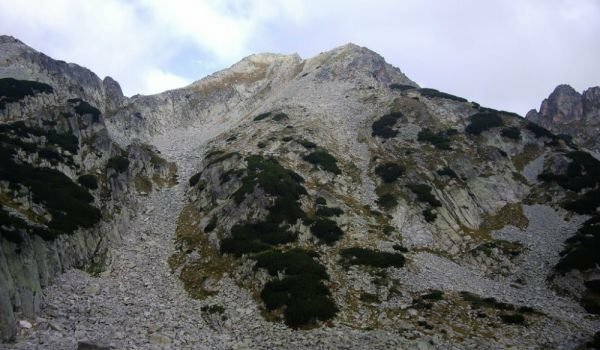 Momin Dvor Peak or Momini Dvori is a granite peak located on the main ridge in the northern part of Pirin mountain. Momini Dvori lies at at an altitude of 8905 ft (2715 m) and has a well-defined pyramidal shape. Momini Dvori was formed as a result of the glacial erosion of the neighboring mountain cirques - Belemeto cirque, Valyavishki cirque and Popovoezeren cirque. Momin Dvor Peak is connected to the nearby peaks by 3 very short passable saddles. West of this peak is Valyavishki Chukar peak. The saddle linking the 2 peaks begins from Belemeto cirque and heads toward the Valyavishki cirque. 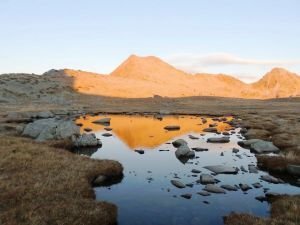 The trail between them is marked by orange spots, leading from Tevno Lake to Dzhengal Peak. Southeast of Momin Dvor Peak lies Kralev Dvor Peak. The 2 peaks are connected by the saddle Lyava Kraledvorska Porta. The main trail leading to Popovo Lake, marked in blue, passes through this saddle as well, starting off from Tevno Ezero Refuge and leading to Kraledvorski cirque and Bezbog Hut. The vast Polezhan side ridge breaks off northeast of Momin Dvor Peak. The neighboring Dzhengal Peak also sits on this ridge. The pass between Dzhengal and Momini Dvori is difficult, even in summer-like conditions. To go through it, begin your trek from Valyavishki cirque toward Kraledvorskia cirque. 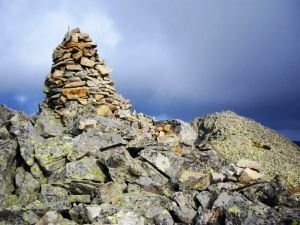 Tevno Ezero Refuge is the starting point for climbing up to Momin Dvor Peak. The hike from the refuge to the peak takes about 40 min. along a steep trail on the western edge of the ridge.